When we dine in a Chinese restaurant, my family never fails to order Beef with Broccoli. After years of ordering this out of somebody else's kitchen, I've finally decided to give this a shot out of our own. Below is the recipe I used. 1. 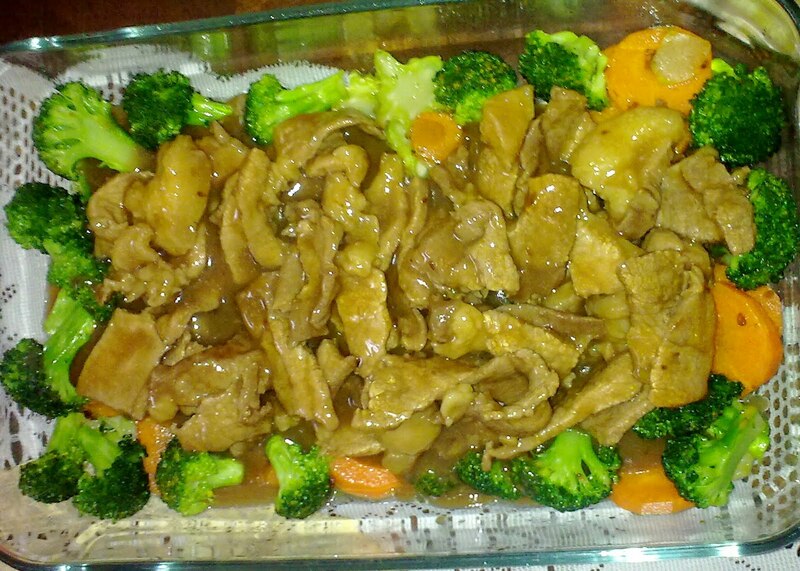 Marinate beef in oyster sauce, sesame oil, white wine, soy sauce, sugar, and cornstarch for 30 minutes. 2. In a wok, stirfry ginger and garlic in vegetable oil. Discard the ginger and garlic leaving the flavored vegetable oil. 3. Stirfry the broccoli and carrots in the flavored vegetable oil and set aside. 5. 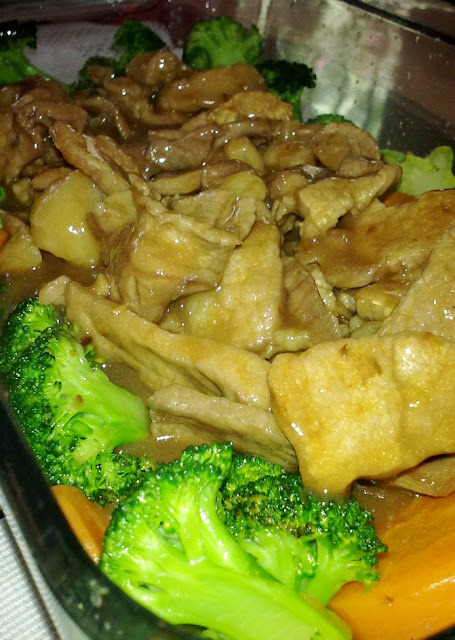 Arrange cooked beef in serving dish and top with stirfried broccoli and carrots. looks good! i think i will try this one of these days..